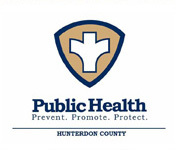 Hunterdon County is dedicated to providing a high level of service to our community. We are striving to improve our programs, and ask that you complete this short survey. The results are anonymous - so please be honest! 2. Was the purpose of the visit clearly explained at the start of the inspection? 3. Did the inspector communicate in a way that was clear and easy to understand? 4. Did you have the opportunity to ask questions? 5. If violations were cited at your facility…. a) Did the inspector explain the health implications of the violation? b) Did the inspector explain the code that is being violated? 7. Is English your native language? Yes No If not, what is your native language? Please review your answers and click the submit button to left to send us your information.